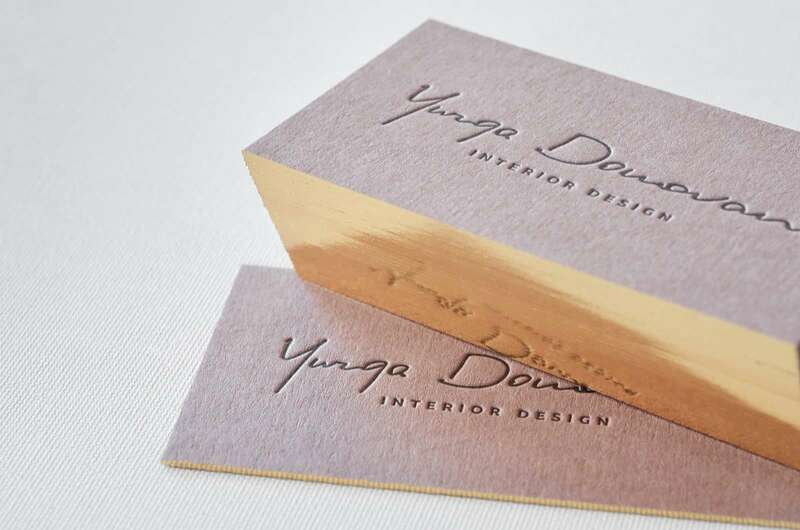 Here is an exclusive business card, which is certainly very suitable for interior designer! 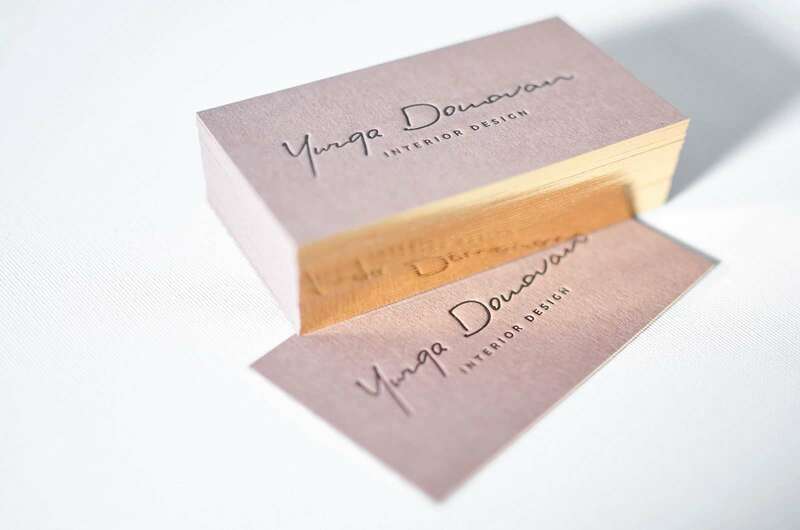 The card is letterpress printed on thick 700 gsm delicately brown, high quality paper. 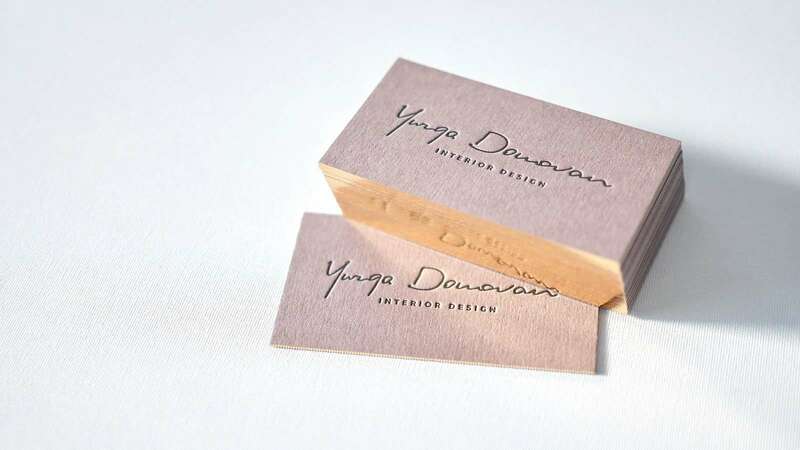 Excellent handwritten logo, only most important information on the card back side and piquant looking accent – one gilded edge, that makes this business card an indispensable communication tool reflecting designer’s taste. This letterpress business card is uncluttered, so you can see beautiful, matte naturally textured paper. Of course it is a matter of taste, but if I will get such card from an interior designer I would like to hire him/her, for sure!